The Travel & Leisure magazine world’s best beaches to enjoy for 2013. 1) Polihale Beach, Kauai, Hawaii – High cliffs shelter this public beach from the world. The only routes to this destination are old country roads. 2) One Foot Island Beach, Cook Islands – Boat and lagoon experience second to none. 3) Voutoumi Beach, Antipaxos, Greece – The island is so small there are few cars, no shops, and a local seasonal population of only 30 – 100 people. 1) Wallea Beach, Maui, Hawaii – First-class snorkeling and canoeing are just two among a rich variety of offerings. 2) Bells Beach, Victoria, Australia - Numerous spectacular outdoor activities and one of the surfing capitals of the world. 3) Playa Kalki Beach, Curacao - From scuba diving to mountain climbing, wind surfing to jeep safaris, kayaking to bird-watching, something for everyone. 1) Black Sand Beach, Waiainapanapa State Park, Maui, Hawaii – Yes, the sand is actually black and exotic spiny hala trees give this beach an other-worldly flavor. 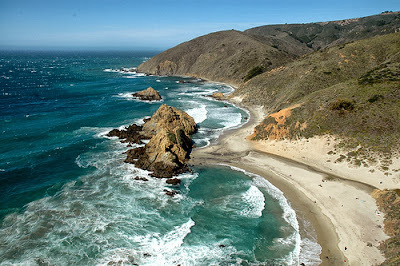 2) Pfeiffer Beach, Big Sur, California - Purple sand and breathtaking rock formations. 3) Maya Bay, Koh Phi Phi, Thailand - A viewing platform 186 meters above sea level offers stunning vistas. 1) Seaside Beach, Seaside, Florida – Toddlers following crab tracks, collecting shells, building sand castles, and wading in their own turf. 2) Seven-Mile Beach, Grand Cayman, Cayman Islands – Swim with the friendly stingrays and visit the nearby turtle farm. 3) Hapuna Beach, Big Island, Hawaii – One of Hawaii’s widest, longest beaches provides endless space and plenty of beach activities. 1) Bahia Gardner Beach, Espanola Island, Galapagos Islands, Ecuador – Sea lions, red-lava lizards and other exotic animals can be encountered. 2) Trunk Bay Beach, St. John, US Virgin Islands – Underwater coral reef snorkeling trails, a majestic beach, and a nearby tropical rain forest hiking trail make this destination a top pick for nature lovers. 3) Assateague Beach, Virginia – Encounter ponies freely grazing, enjoy memorable nature photography, bird watching and a beautiful, calm beach.